Get more value during your stay at the smoke-free Quality Inn Conference Center at Citrus Hills hotel in Hernando, FL. We are located off Route 41 near Withlacoochee State Trail, Homosassa Springs Wildlife Park, Crystal River National Wildlife Refuge and many other attractions. Get your moneys worth with hotel amenities like free hot breakfast, free WiFi, an outdoor heated pool, a business center and a 300-person conference center for events, banquets, meetings and more. 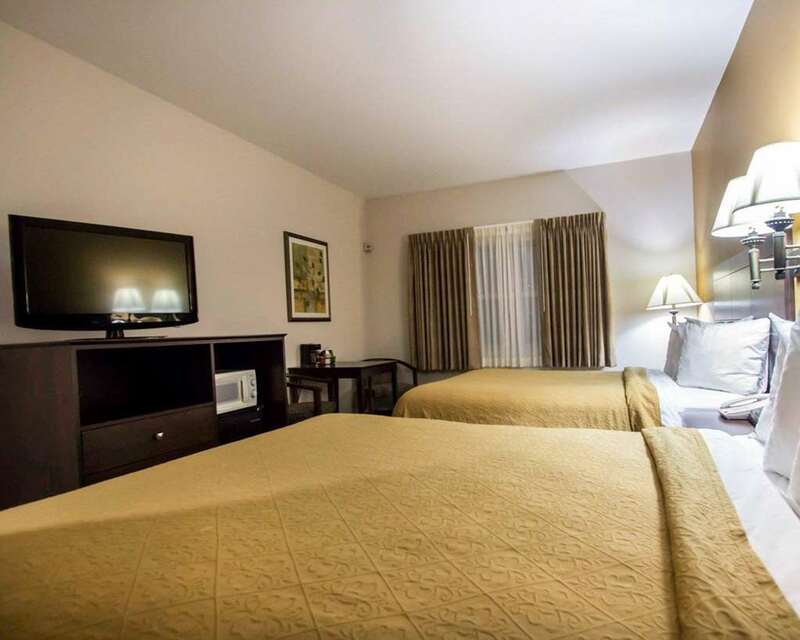 All of our guest rooms have a microwave, coffee maker, hair dryer, work desk, iron and ironing board, plus some rooms have a a hot tub. Also, earn rewards including free nights and gift cards with our Choice Privileges Rewards program.